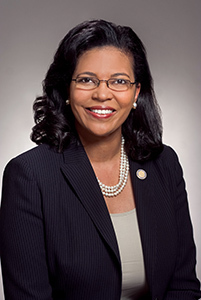 Kim Hunter Reed, Ph.D., was unanimously selected as the ninth Commissioner of Higher Education by the Louisiana Board of Regents in April 2018. Prior to being named Commissioner, Reed served as executive director of the Colorado Department of Higher Education. 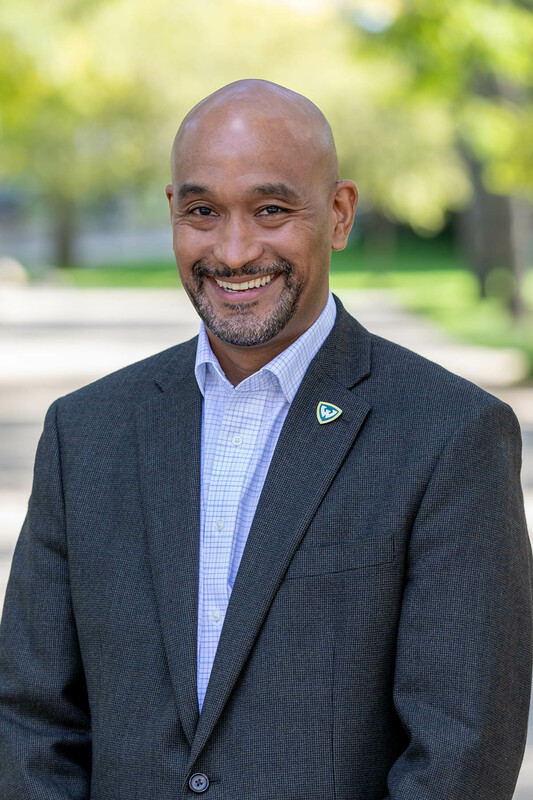 Working with the Colorado Commission on Higher Education, Dr. Reed led efforts to drive increased educational attainment and erase equity gaps as identified in the statewide strategic plan for higher education, Colorado Rises. Reed has extensive higher education and government experience. She served in President Barack Obama’s administration as deputy undersecretary at the U.S. Department of Education, leading postsecondary diversity and inclusion work, supporting strong student and outcomes-focused policies and aggressive national outreach efforts. She also led the White House Initiative on Historically Black Colleges and Universities. Before serving in the administration, Reed was a principal at HCM Strategists LLC, a public policy and advocacy consulting firm in Washington, D.C.
A Lake Charles native, Reed chaired Louisiana’s higher education transition team in 2015 and served as the State’s policy director. Reed also served as chief of staff and deputy commissioner for public affairs for the Louisiana Board of Regents and executive vice president of the University of Louisiana System. She has received numerous honors, including LSU Alumna of the Year, Public Administration Institute; and Mom of the Year, Jack and Jill of America, Baton Rouge Chapter. She has been featured in Daughters of Men, a national publication highlighting outstanding African American women and their fathers. Reed received a doctorate in public policy from Southern University, a master’s degree in public administration and a bachelor’s degree in broadcast journalism from Louisiana State University. Reed is a wife, proud volleyball mom and relentless student advocate. Before joining Wayne State University, Cawthorne was privileged to lead West Virginia University Libraries as dean. At WVU, he extended digital knowledge resources to seven regional campus libraries to create a virtually integrated library system. Along with a team of talented librarians and professional staff, he established the WVU Digital Publishing Institute, to advance open-access scholarship through new digital pathways for academic publication and dissemination of knowledge. Also while at WVU, Cawthornes commitment to diversity among academic librarians led to founding in 2015 of the Library Diversity Alliance, a four-institution residency program comprising WVU, American University, the University of Iowa, and Virginia Tech. 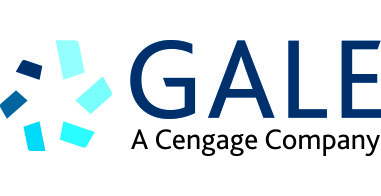 In 2016, an inspired Association of College & Research Libraries Board voted to sponsor and support the Alliance under the ACRL aegis; today, Cawthorne chairs the ACRL Diversity Alliance program, which unites 36 academic libraries that share a commitment to growing the hiring pipeline of qualified, talented individuals from underrepresented racial and ethnic groups. Jon Cawthorne began his library leadership career in Detroit, as director of the Detroit Public Librarys flagship branch, where he was later named interim deputy director to lead the entire 24-branch system through an organizational transition. Before becoming WVU dean of libraries in 2014, Cawthorne also held leadership positions at Florida State University, Boston College, and San Diego State University. He holds a M.L.S. degree from the University of Maryland, and a Ph.D. in managerial leadership in the information professions from Simmons College. His published research bridges the realms of diversity, libraries, organizational culture, and leadership; with a shared focus on models that anticipate and plan for rapid change and the future through strategic capacity building and workforce development. Grab some coffee and a snack, and visit with our conference sponsors. This session will discuss best practices for eBook record loads. Looking for a novel way to engage with graduate students? LSU librarians have launched and contributed to events using the speed geeking model. Playing off the speed dating concept where participants meet a large number of eligible singles at once and quickly connect with potential partners, this model exposes participants to a variety of services and resources in a fast-paced and fun atmosphere. Targeting new graduate students, librarians hosted the event Speed Geeking: Find Your Match with LSU Libraries. Participants visited tables for brief introductions to resources relevant to graduate students. Participants received a "little black book" handout and were encouraged to note resources they would want to revisit. Additionally, librarians have been invited to collaborate with campus partners in similar speed geeking events to introduce LSU faculty and graduate teaching assistants to instructional techniques and technology tools. Participating in multiple events, librarians have promoted special projects and resources that support teaching and demonstrated their role as a partner in supporting teaching and learning. This approach has relatively low overhead and requires only moderate upfront investment that can be scaled depending on access to programming funds. Additionally, graduate students and instructors may find it easier to fit a speed geeking event into their schedule than traditional professional development programming. This presentation will discuss designing a speed geeking event, working with collaborators outside of the library, assessing the program, strategies for including distance learners and instructors, and challenges. No single library can hold every item its users may need, so libraries rely on the OCLC resource sharing network to lend and borrow resources locally, in groups, and around the world. We make it easier for libraries to support one another and their users, no matter what resource is requested. Tipasa is a new ILL management system for individual libraries to share and obtain materials through different resources and systems as well as to provide an exceptional experience for the patron. You can meet your users' needs without heavy IT support, server management or extensive configuration and training. During this session, Tony Melvyn will provide an overview of Tipasa, update you on product development and phases, review some frequently asked questions and present opportunities for you to get involved with the project. Programming in an academic library can be extremely difficult. It can cost money, time, and resources. Many fear the myth that programming will lead students to think that the only thing Libraries can do is provide a place for pet therapy. However, with our ongoing fiscal issues, student buy-in is one thing we can't do without. In this presentation, I will discuss how libraries benefit from programs, how we can use programs to engage our students and how programming fosters a sense of community, that can, in turn, lead to buy-in from our students. I will also discuss the public library programming model and how we can adapt it to fit the needs of academic libraries. Programming not only brings students anxiety relief and small moments of happiness but it will also help shape the libraries of the future. The Hotel Bentley in Alexandria, Louisiana is a striking example of an turn of the century luxury hotel. It is notable not only for its striking structure and luxurious interior design, but also for its role in local and national historic events, many of which were documented in local newspapers. This presentation will focus on contemporary accounts of the hotel found in the Digitizing Louisiana Newspapers Project (DLNP), as well as other primary sources, to reconstruct the Hotel's vibrant history through the WW II era. Mission Critical: IL to the Rescue! This session will focus on the collaboration between librarians and the Southern University Freshman Academy which strives to improve retention and student success by integrating Credo InfoLit modules into the freshman curriculum. With the integration of Information Literacy modules into Moodle, the campus' Learning Management System, students are tracked and assessed to provide assistance in areas where improvement is needed. Data from the first cohort in the Academy will be shared along with future goals of the program. Current SLIS students will participate in a panel discussion about issues in library and information science education and need for pre-professional job experiences. An overview of the process to Integrate OER materials in the online MBA program and establishing the validity for wider implementation. In this session, Rebecca Kelley, mass communication librarian, will discuss how consistent outreach over a two-year period led to a rewarding partnership with the public relations faculty at LSU's Manship School of Mass Communication. She will highlight how this relationship building has revealed opportunities for more targeted research instruction within the public relations core courses. As resources for public services shrink, and social perceptions change, a good tactic for Louisiana librarianship might be to join forces. Some interest has been voiced in combining, or otherwise connecting, the LOUIS Users Conference and the LLA Annual Conference; there's already some overlap in attendance and content. Although LUC and LLA are now at opposite times of the year, pairing the two conferences might increase turnout and reduce cost. This panel is one in a series of recent discussions about collaboration among statewide academic library groups. Join the audience to talk about increasing our effectiveness at the state level. In this session, we will take a look back at where EDS has come from, where it stands today, and where it is going. We will cover new features released this year and give you a peek into the long range plans we have for EDS and related products and innovations (Curriculum Builder, Launchpad - a mobile research utility, and more). Needs for information literacy instruction have increased and become more varied over the past several years, but the methods for managing those class requests have remained largely unchanged, inflexible, and time-consuming. This presentation will highlight the progress of instruction scheduling management at LSU and peer institutions and discuss strategies to make the process more efficient and valuable. You have limited time with students to teach them about the research process, so how do you make the most impact under time and access restraints? Credo's features can make research instruction easier than ever. Credo embeds are an easy way to embed articles and entries onto your LMS or website, permalinks allow librarians and faculty to create custom collections on the fly, the Mind Map tool enables exploratory search and Topic Pages provide ideal content for LibGuides and subject guides. Join this session to learn more about these features, discover strategies for engaging faculty and discuss how to enable your research instruction with Credo. This presentation will report on a usability study on LSU's implementation of Enterprise. 12 participants were recorded as they used the new catalog system to search for books and journal titles. Many issues were identified in this research process. Our presentation will describe the study's methodology, test scenarios and results. We will also share with you the "pain points" and shortcomings we discovered, and how we have made improvements to our system to help improve patrons' experience. At this session, representatives from Oxford University Press (OUP) will discuss three major collaborative projects from OUP: University Press Scholarship Online (UPSO), Oxford Research Encyclopedias (OREs), and Grove Art Online (GAO). This session will provide an overview of UPSO, a ground-breaking online library bringing works from the world's best university presses onto one easy-to-use, cross-searchable resource. UPSO offers easy access to over 27,000 scholarly works across the humanities, social sciences, sciences, medicine, and law. Also at this session, learn about the Oxford Research Encyclopedias, a major new digital resource from OUP, which has over 10,000 academics involved and partnerships with organizations such as the International Studies Association, National Association of Social Workers Press, and American Institute of Physics. Grove Art Online (GAO) is the foremost scholarly art encyclopedia, covering on all aspects of the visual arts. At this session, learn about Grove Art Online and the UpdateGAO project, a major, ongoing program the editors are embarking upon to reflect important recent scholarship, refresh articles, and guide the future of art history research. In Fall 2017, when an LSUHSC-NO School of Public Health affiliate registered with the library for an account, researchers contacted the individual to determine if he or she would like to participate in monthly questionnaires throughout the semester. Participants were compensated $5 per questionnaire completed. These questionnaires examined what led patrons to register, what resources they used, and what difficulties they encountered. By gathering this information longitudinally, this study showed how individuals' use of library resources changed throughout the course of a semester. This session seeks to provide tips and tricks on managing an institutional repository. Topics covered will include inheriting an IR that has no documentation of policy, managing digitization projects, collaboration with other departments, and balancing other work responsibilities. BLUEcloud Analytics is more than just a cloud-based reporting tool. It follows the BLUEcloud model of leverage an open, best-of-breed platform to fulfill all of your library's analytics needs. Now including Acquisitions and Serials data, BC Analytics combines ILS data with any type of 3rd-party data, such as COUNTER eResource usage, Google Analytics usage for Enterprise, and almost any type of data from almost any source. 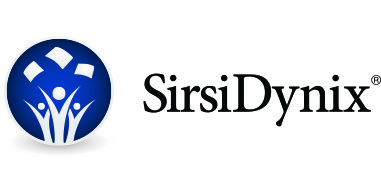 And for those busy staff without the to create new reports or dashboards, we offer a rich Reports Catalog for downloading SirsiDynix-created reports and dashboards. The 2.5% Commitment, envisioned by David W. Lewis of IUPUI Libraries, proposes that academic libraries should commit 2.5% of their budgets to support the open infrastructure needed to create the open scholarly commons. In this presentation, librarians from LSU and UNO will look at definitions of what counts toward this and review how they undertook measuring their libraries' commitments. Related initiatives to drive openness will be shared, as will potential steps that could be collectively taken as the LOUIS consortium to move in this direction. The following discussion will engage others who are interested in understanding this approach, determining their library's commitment, and supporting openness in their institution. BLUEcloud is designed as a best-of-breed open platform with a major goal to streamline the integration of digital and print content. Find out how recently-released and on-going development efforts will close the gap on our promise of end-to-end integration. 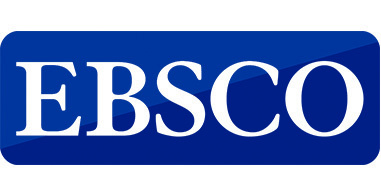 We will review the new BLUEcloud eRM features and Discovery features for seamless interaction with the EBSCO Knowledge Base, ILS acquisitions, link resolver, and article discovery. As budget cuts have decreased the number of librarians at our campuses, we have focused on cross training and rotating to multiple locations to manage our libraries and better serve our patrons. During our interactive panel session, we will discuss advantages and disadvantages of job rotation and share our experiences as rotating librarians. Without collaboration from everyone involved, rotating would be extremely difficult! Ever feel like you are working for ILLiad, instead of ILLiad working for you? In this session, LSU Libraries Interlibrary Loan staff will demonstrate quick and easy tips for making ILLiad work the way you do. Learn how personalized queues can help balance your request load and improve your turnaround time. Find out how to use the simple but powerful flag feature to improve training and track requests, without interrupting your workflow. The session will cover specific examples of how LSU’s ILL uses these features to simplify processing, improve reporting, and increase ILL’s collaboration with other units in the library. The Louisiana Digital Library (LDL) is an online platform for libraries, museums, archives, and historical organizations across the state. The books, manuscripts, oral histories, maps, and photographs held in the LDL showcase the cultural resources of Louisiana. The metadata about these items is also a great asset. When explored in their entirety, the data held in the LDL is as valuable as the digital facsimiles. This talk will explore the LDL as a data hub, a place to gather and share the metadata of the participating institutions. Open data is a growing trend in archives and special collections, enabling new types of interactions with collection material. The metadata held in LDL, treated as open data, can offer a new way of interacting with the treasures of our state. We will contextualize the field of open data in historical institutions, and explore uses for downloaded metadata from the LDL. Searching tools need love too! Join us to discuss some of the choices you have now that Enterprise is live along with reviewing key areas of control to keep these two systems happily working together. Would you know what to do if your library experienced a disaster? Does your library have a disaster plan and are you familiar with your role in it? Have you ever considered what you would do in the event of a burst water pipe, a fire, or an active shooter? A panel of library administrators will share their plans, experiences, and concerns in regards to these questions and more. Government documents: oft-mentioned, but never fully integrated into the academic curriculum. Generally, this is due to misperceptions of what government documents are, as well as the seemingly overabundance of government information available to users. This session will dispel myths connected to government documents such as difficulty, lack of scholarly content, and their general otherness. Johnson will also give examples of how to more fully integrate government documents into the academic landscape, including the use of government scholarly and peer-reviewed sources for student research. This session will focus on how you can use your own research and interests while teaching information literacy, both in the classroom and beyond. Simms has created a series of drop-in Research Workshops for LSU students that focus on three main research concepts: defining the topic, searching for information, and going digital with research. At the heart of each of these research workshops, Simms used her own research as a jumping off point for student learning and discussion. This session is great for anyone interested in how to bring their own interests into the classroom, as well as how to design and implement research workshops for both undergraduate and graduate students. In 2017, librarians at Loyola University New Orleans were tasked with creating a learning objects repository for librarian liaisons to share their syllabi, lesson plans, instructional videos, and other learning objects. This presentation will include an overview of learning object repositories, how Loyola selected a platform, setup and internal training, and assessment. Why Your Library Website Matters A user's experience with your library website can determine if you gain frequent users, repeatedly frustrate them, or just lose them altogether. It is therefore vital that the library's website make a great impression on students and faculty at your campus. It can sometimes be hard to balance the amount of information you need to share with your institution's policies and procedures, however. This session will briefly discuss some industry standards and best practices that help ensure a positive user experience, some elements that no library website should be without, and some tools you can use to work within your institution's parameters while maintaining some autonomy. This session will also highlight library website redesign projects from Louisiana College and Fletcher Technical Community College. Louisiana College In the spring of 2017, the Louisiana College library began the process of a complete redesign of its website. Using LibGuides CMS, and with much assistance from LOUIS, the library's website was transformed to be more streamlined, user-friendly, and aesthetically pleasing, while also complying with institutional style and branding guidelines. Fletcher Technical Community College In fall 2017, Fletcher Technical Community College began a website redesign. In this session, hear how they got started, where they are now, and what tips they have for anyone thinking about going through the same process. Join Lisa for pie and coffee as she discusses the strategic planning process re:work Library Consulting is undertaking on behalf of the organization.